Recently, there has been an alarming hike in crime affecting our neighborhoods. The West Valley has not been immune from an escalation in crime citywide and we have seen an increase from burglaries to gang violence. That is why I have asked LAPD Valley Bureau Deputy Chiefs Bob Green and John A. Sherman to join me for a Public Safety Town Hall focusing on the West Valley. 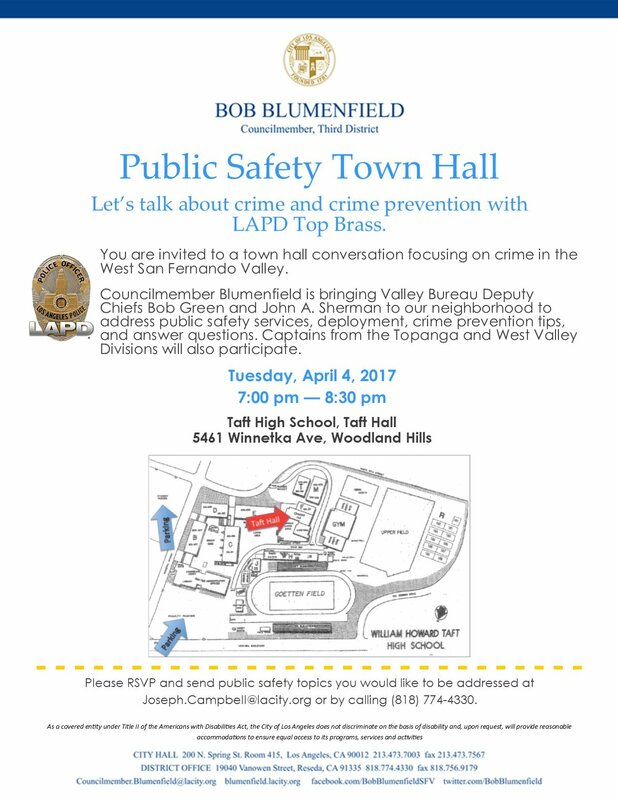 Come and hear the top brass on the frontline discuss crime prevention, deployment, and many other issues facing our community. We will also be joined by Captains and Senior Lead Officers from LAPD’s West Valley and Topanga Divisions. Many residents have responded to the rise in crime by joining neighborhood watches, ‘hardening the targets’ and banding together in other ways. This meeting will help highlight these opportunities and shed light on how Angelenos and the LAPD can work together to help make our neighborhoods safer. 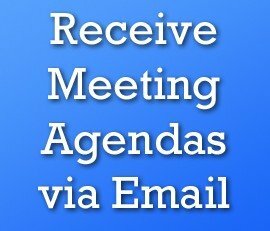 If you have a specific topic or question that you would like to have addressed, please send it in an email to joseph.campbell@lacity.org and make sure to RSVP here.